The Andharban trek is a surreal descent trek in Maharashtra, with a densely forested trail that sinks deep into a shadowy, misty forest. The Andharban trek is unusual because it descends into the evergreen forest instead of going up, like most treks in Maharashtra. The word ‘Andharban’ means ‘dark forest’, and you’ll see why when you go. The route goes deep into a forest, where the greenery is so thick that it stays dim and cool even on a bright, sunny day. As you trek, you’ll discover beautiful views of the Kundalika Valley and Bhira Dam. In the monsoon, there are gorgeous natural ponds, waterfalls, and streams that gush under your feet as you trek. 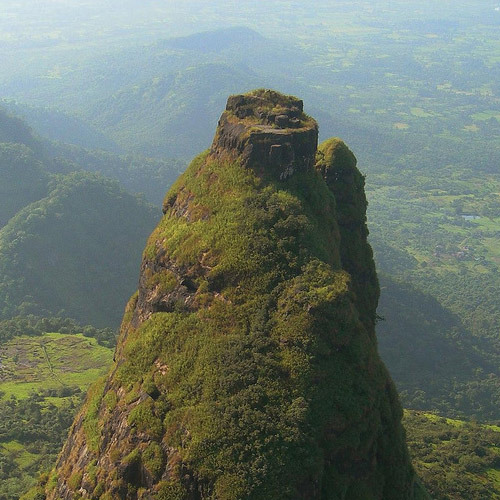 The Andharban trek is in Tamhini Ghat, which is about 130 kms from Mumbai. Most trekking operators leave at night from Mumbai so that they can start the trek early in the morning. 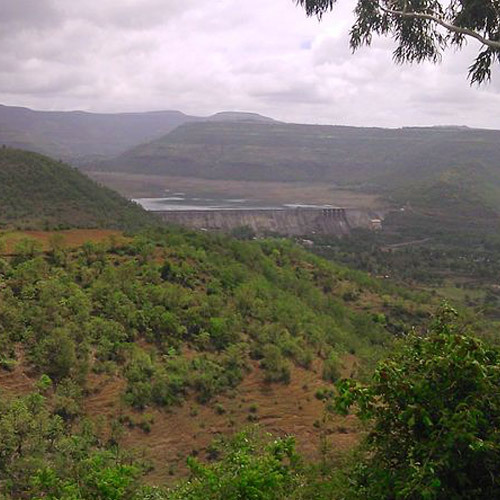 The start point is Pimpri Dam, which is actually closer to Pune, just a short drive of about 50 kms for Pune trekkers. 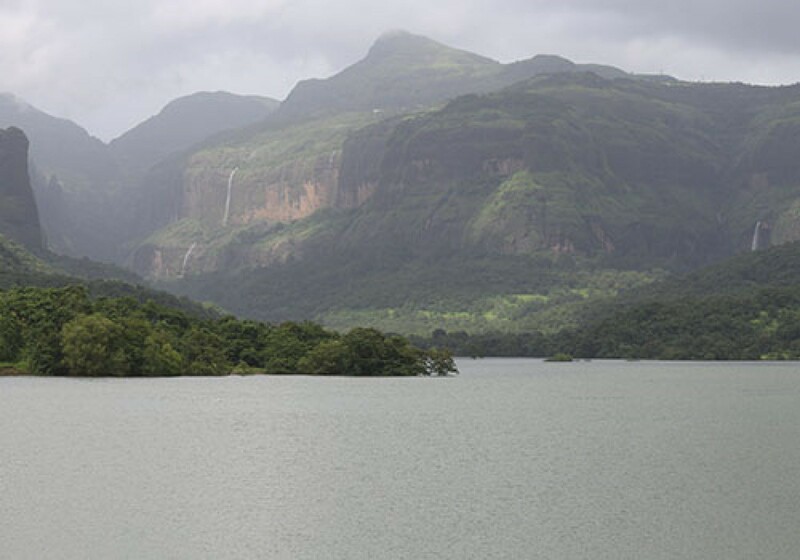 The Andharban trek starts from Pimpri Dam, which is the highest elevation of the trek. After that, it’s a downward descent for the next 5-7 hours. You’ll be walking along a rock path that has been chiselled by the flow of water over centuries. With many species of butterflies, birds and flowers, this trek is a delight for nature lovers and photographers. Many trekkers believe that the Andharban trek is easy because it is all downhill. However, you will be trekking for at least 5 hours, and negotiating rocky, slippery paths. In the monsoon, the rainwater gushes down all around you, racing to the valley below, and the rocks can get quite mossy. 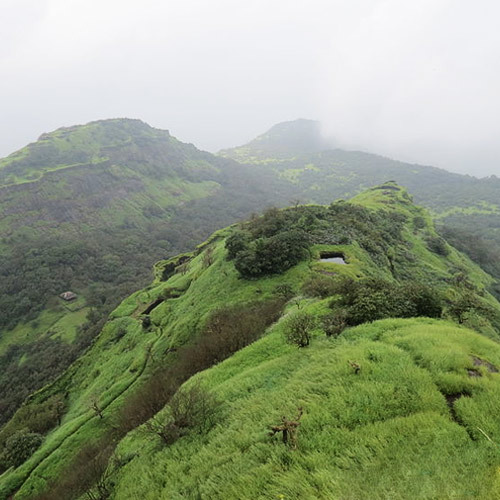 There are many other treks in the hills around Maharashtra. 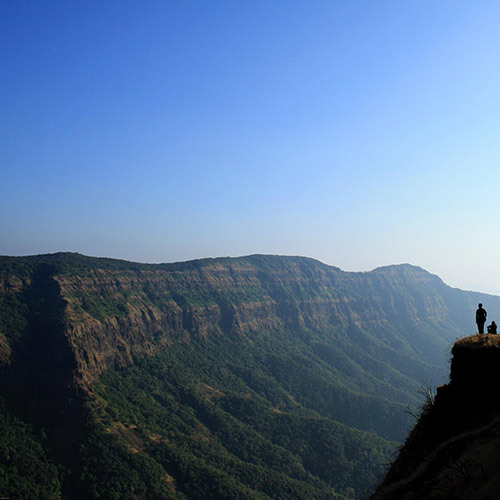 Find other treks in our list of Most Popular Trekking in Maharashtra. The Andharban trek is most popular in the monsoon, when the forest is a lush tropical wilderness. There are waterfalls and pools everywhere, filled with clear, cold rainwater. Many trekkers like to take a refreshing dip in these pools after their trek. 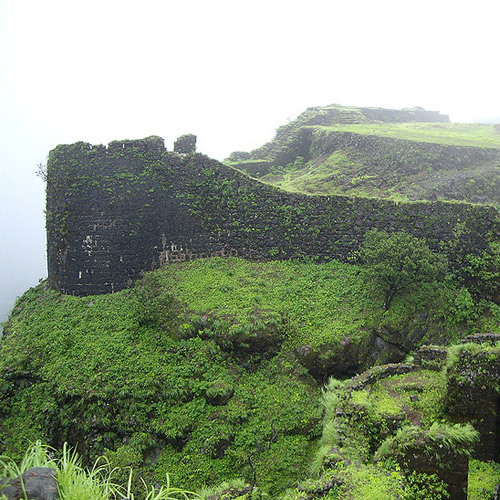 Here’s a list of other Top Monsoon Treks in Maharashtra. The winter is also a good time for the trek. In the early hours of the morning, the mist hangs low in the forest, creating a mysterious atmosphere that is fun to trek through. It is also one of the few treks in Maharashtra that remains cool during the summer, thanks to the thick tree cover. For your trek, you should wear appropriate shoes, especially since it is all downhill. If you are doing the Andharban trek in the monsoon, you must make sure you have a raincoat and carry a raincover for your bag. Do carry essentials like water, snacks, insect repellent, first aid kit, and camera, all wrapped in a waterproof bag. Also, carry a change of dry clothes and a long-sleeved jacket or sweatshirt to keep you warm on your return. 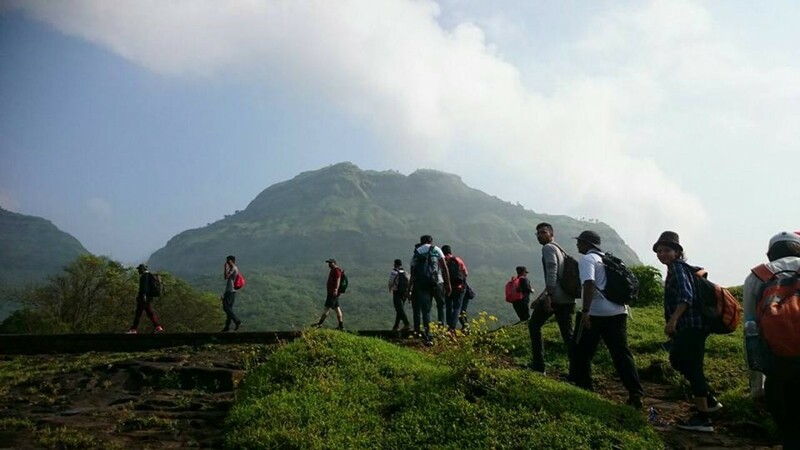 Find a complete Guide to Packing for Sahyadri Treks here. Trek down into the depths of a deep, dim forest that is dotted with waterfalls and streams. The monsoon is the perfect time to embark on a trek to Andharban, named after the darkness (even during the day) that is caused by the tall evergreen trees that block out the sunlight. A unique ecosystem thrives in the dimly lit Andharban, offering you a memorable adventure trek. The trail is not a difficult one, as it begins from an altitude and descends gradually into the forest, but it can get very slippery, so watch your step. The trek to Andharban takes you into the deep mystical forests of the Western Ghats. This forest has such thick tree cover that the trek trail receives hardly any sunlight, which is why it is called Andharban ('andhar' means dark). The Andharban trek winds through dense forests of high rising trees, and is interspersed with waterfalls and natural pools that you'll be taking a dip in. It's also home to exotic birds and rare butterflies. It offers you spectacular views of the Kundalika Valley and ends at Bhira Dam. Explore forests so dense that they are dark even during the day! The word 'Andharban' means 'dark forest' and you'll see what it means only when you visit. During the monsoon, the vegetation turns beautifully lush and dewy, showing you all shades of green. There are waterfalls and pools everywhere, and you'll feel like you're in the middle of an adventure movie. The day trek to Andharban takes you down the narrow trail for almost 4 hours, past waterfalls, and amidst butterflies, birds and flowers. It's not a hard trek because you're descending for the most part, and you get some brilliant views. Trekking through the mysterious forests of Andarbhan in Maharashtra is one of the most surreal experiences you can have. Andarban literally translates to ‘dark forests’. The trail is covered with dense forests, which makes even daytime look like evenings/nights. This all-descent trek is unique because in most parts of the trail you will be climbing down instead of climbing up, which can also get a little tricky and slippery during the monsoons. Explore the mysteries that these enigmatic forests have to offer! On this sunrise trek to Andharban, go trekking under the dark cover of a dense forest in the Western Ghats. With a 8-km trail that leads downhill for the most part, your trek through Andharban will take you over several ponds, rivers, waterfalls and streams. 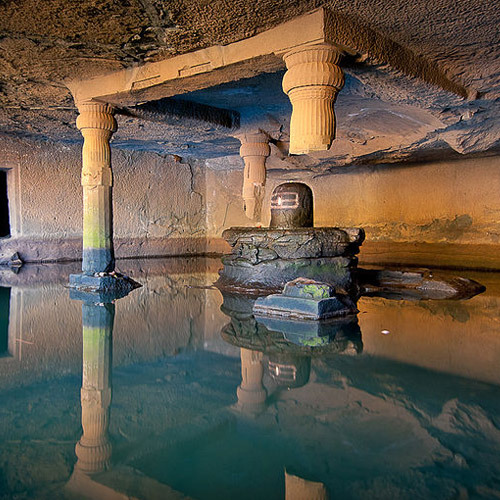 Here, you can dip your feet in the cool waters and catch beautiful morning views of the Sahyadri mountains. Trekking through the wilderness of rural Maharashtra, you’ll get spectacular nocturnal views of the Bhira Dam, Pimpri Dam and the Kundalika Valley. This trek will lead you over a downhill trail of relatively easy difficulty, making it perfect for fit beginners as well as experienced trekkers. 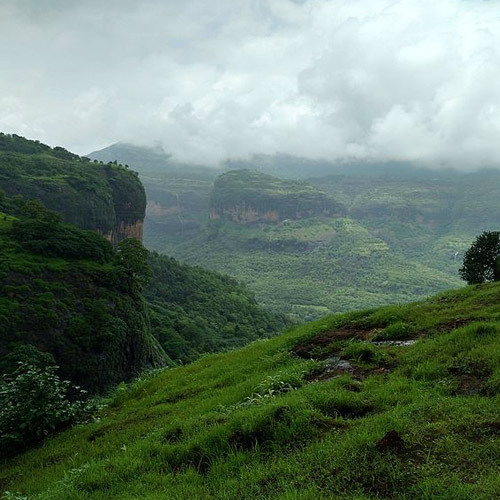 Maharashtra’s dense, dark forest Andharban trek takes you on a mystical trail through the Sahyadris. This trek is a full descent trek, so won't have you puffing and panting, but it's still a challenge. You'll walk through a forest that is so thick that it's always dim here, hence the name 'Andharban' or 'dark forest'. Cross water streams, clamber over mossy stones, and navigate slippery trails with waterfalls gushing down on all sides. You be descending all the way, to emerge near Bhira dam, with splendid views of the Kundalika river. Embark on a thrilling night trek to Andharban that will lead you through dense forests and narrow nature trails. On this trek, you will hike through the mountainous wilderness under the night sky and experience the nocturnal beauty of the Sahyadri mountain ranges. Known for its photogenic beauty, this trek will lead you through hilly ridges that offer you unmatched views of the Kundalika Valley, Bhira Dam and the mountains of Tamhinighat. During this trip, you will trek throughout the night and reach Bhira in the morning. Take breaks at intervals to rest in the shade of trees and admire the night-time view of mountains painted across the dark sky. This is a relatively easy trek that is perfect for beginners as well as experienced trekkers. The Andharban trek takes you through a forest with such thick green cover that very little sunlight seeps in, hence the name Andharban which means 'dark forest'. The unique feature of this trek is that is an entire descent trek, which makes it easy to do. However, all the rainwater gushes downhill with you, heading to the bottom of the valley. You will be walking alongside gushing streams and waterfalls, along a trail that is slippery with moss. This is a fun 13 km trek that ends at Bhira Dam. It is not recommended that you go on your own for this trek. An operator will know the correct route to take, so that you don’t get lost in the forest. In addition, the start point is at Pimpri Dam, but you’ll end 6 hours later at a different point. You will need a vehicle and driver to pick you up from here. When is the best season for the Andharban trek? The Andharban trek can be done all year round. The monsoon months, from July-September, are the most popular time to go. During this time, the trail is lush and green, with flowing waterfalls, streams, and natural ponds. It is also a very beautiful trek in the winter, when the misty mornings make it a pleasant experience. In the summer, the covered route and thick forests keep temperatures low on the trail, making it one of the few longer treks that you can do. How difficult is the Andharban trek? The Andharban trek is not recommended for beginners. It is mostly downhill, but the slippery, rocky route can be hard on the knees. It is also fairly long, with 4-6 hours of walking. In the monsoon, the mossy rocks and gushing water underfoot can make the trek even harder. 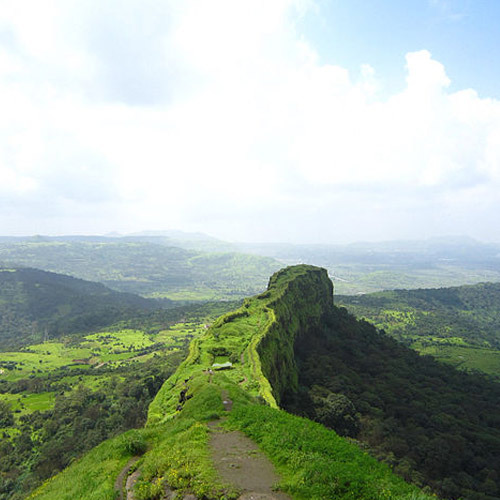 If you are a beginner, it is recommended that you do some shorter treks in Maharashtra first. What should I carry for the Andharban trek? 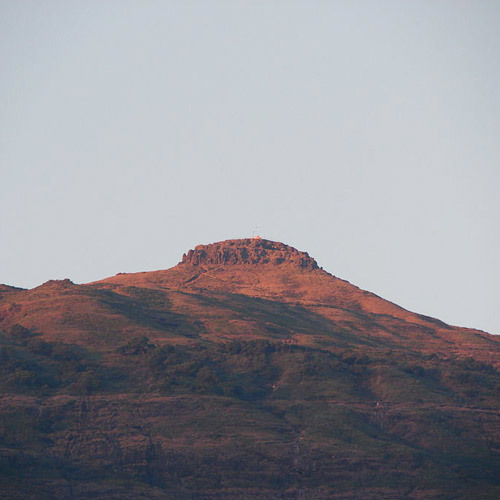 Check out our blog on What to Pack for Trekking in the Sahyadris. Apart from these essentials, your operator will provide you with a full packing list. You’ll be trekking through a dense forest on this trek, so a good insect repellent is important. It is also important to ensure that you have the right shoes for the long downhill climb. If you’re going in the monsoon, make sure you carry a raincoat and a rain cover for your bag.